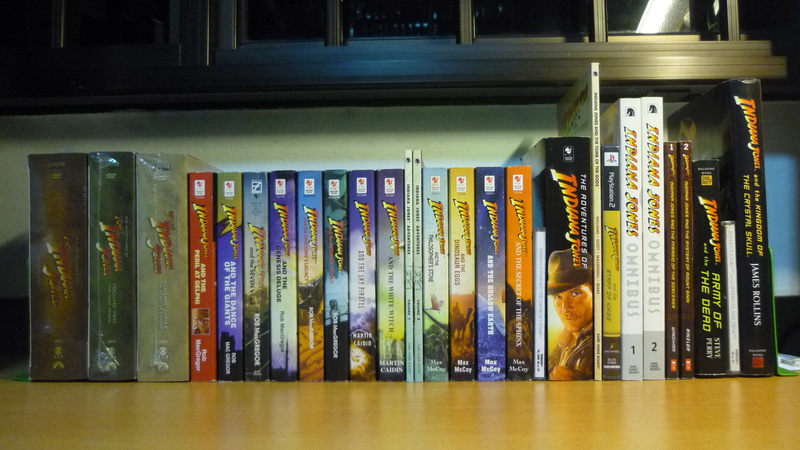 Being an avid Indiana Jones fan, I have acquired quite a collection of Indiana Jones adventures which includes DVDs, novels, comics, and even video games. And I thought I’d arrange them in their chronological order, just to see how they will look. 1. I have not included the comics from The Further Adventures of Indiana Jones as I have not yet thoroughly read through them to figure out their places in Indy’s timeline. Furthermore, there is a tendency to cluster most of Indy’s adventures around the 1930s which implies that some of his adventures could literally be happening at around the same time. 2. There are also other sources of Indiana Jones adventures which fans have differing views on whether to consider them as canon, such as the Find Your Fate books, foreign-language publications, or even role-playing game sourcebooks. 3. I have decided to list the Young Indiana Jones Chronicles in only three parts – “Indy as a kid”, “Indy as a young man”, and “Old Indy”. I don’t think I have to go through the trouble of listing down the titles of all the episodes on this already convoluted list. 4. In case you are still not aware, Indiana Jones and the Temple of Doom (Set in 1935) is a prequel to Raiders of the Lost Ark (Set in 1936).